Our technicians are extremely professional, knowledgeable and highly skilled. We use only the best materials because anything else is simply not good enough. Our team is highly efficient and will get to you in no time at all! Our team is dependable, reliable, responsible, and at your service! You can depend on our team of repair experts for guaranteed customer satisfaction! Our garage door repair services range from fixing motors and panels to replacing broken springs and tracks. Our company works with residential doors and openers of all brands. 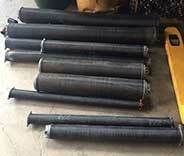 We have the knowhow and tools to repair and replace garage door springs efficiently and quickly. Our specialists offer same day electric garage door opener repair and excel in opener maintenance. 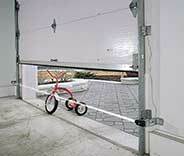 Is your garage door not working as well as before? Let our experts have a look. Read more about our maintenance service on this page. Look no further! All the help you need and more is available today and every day, Sunday through Saturday. 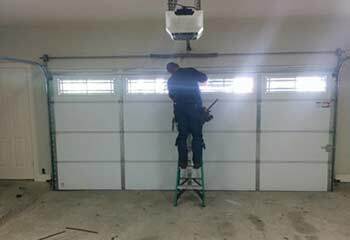 Garage Door Repair Eagan responds quickly to any urgent service call, and specializes in providing effective solutions to all possible (and impossible) problems your automatic door system may experience. From broken spring repair to complete door and opener replacement. The best technical team in Minnesota is just a quick phone call away. Overcharging customers isn't our style. Garage Door Repair Eagan wants to help every local homeowner, from Rosemount to Apple Valley, whenever they find themselves in need of assistance. Whether that means responding quickly after a spring or a cable breaks, or coming over to sit down with you and give you an estimate for a new door. After over a decade of doing business, it's become our prime directive (to make a Star Trek reference) to provide any and all customers with the best possible service, without charging the equivalent of a house mortgage for it. Rest assured, though, that there are no compromises made. No cheap replacements are used for any of our repair solutions. Only parts from brand name companies like Clopay, LiftMaster, and Chamberlain. Many people prefer to go with local technicians when they need some type of service. There's a logic behind that, considering how these will be people who are part of your community, who you can trust, and – perhaps most importantly – who'll get to you quickly, and won't make you wait around for hours upon hours. 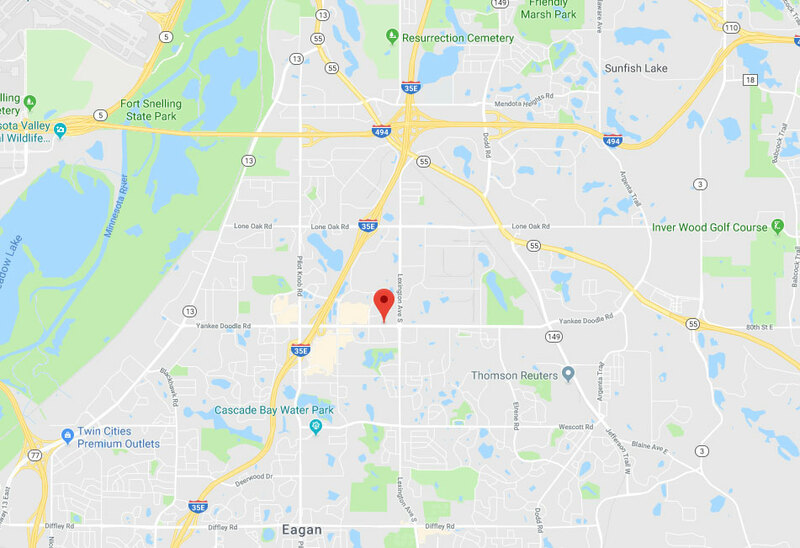 That's why, if you're a resident of Mendota Heights or you live somewhere closer to Burnsville, you can always rely on Garage Door Repair Egan to send one or more of our repair specialists over whiner you need a little helping hand. Door got stuck? Not a problem. Opener doesn't work? Help is here. So how can you reach us when things go wrong or when you want to inquire about anything from a new keypad to a new door? Simple. You get to choose. Either call us on our service hotline to speak to a real person who'll schedule your service appointment, or simply use our online system and book it yourself with a few keystrokes. Whether you live in the nearest town over or somewhere else in Dakota County, our service area stretches to Inver Grove Heights and also reaches to areas near Bloomington. Basically, if you live anywhere nearby, you can bet on getting help from us - your local garage door experts. As one of the most established garage door service providers in our area of Eagan, we offer local customers great quality products, reliable repairs and responsive arrival times. Take advantage of our great range of services, products, and solutions today! Schedule your service today – we are at your service! Get details on our latest garage door repair projects in Eagan on this specially designed page to learn more about our professional services. This customer called us because his door nearly fell off. We were able to help. Click here to learn more. A customer called us after their door slammed shut and wouldn't open. Click here to learn how we helped. 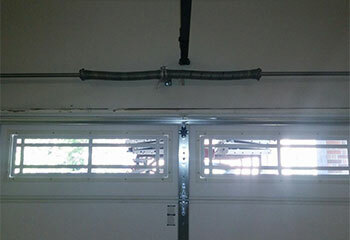 If your garage door is jammed, we’ve got you covered. Discover how our company in Burnsville helped a local customer in this situation. 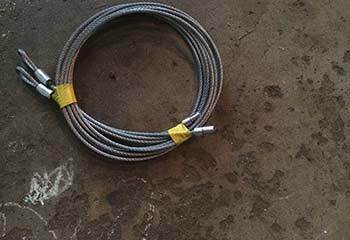 Our garage door company in Eagan is always available to replace broken springs of all types and sizes quickly. Read all about how! Getting a new garage door opener is an important step and you can rely on us for consultation and installation. 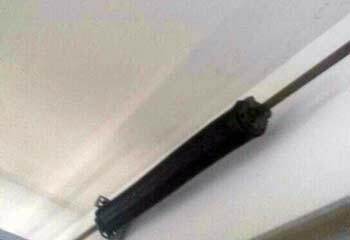 I’m glad I called your garage door company for broken spring replacement. You did a fantastic job in the shortest possible time and at a very reasonable rate. Thank you for helping me so fast when my garage door motor stopped working. Your repair service was excellent and more than affordable. Thanks! Your cable replacement service is the fastest I’ve ever used. Thank you for installing a matching garage door cable in such a short time. Definitely recommended! Our door opener went on the fritz and I contacted this company for help. Their repairman was a real professional! He inspected the motor, replaced a few parts and everything works perfectly again! The safety cable on our garage door snapped and I called these guys to take a look. Their technician replaced it fast, left no mess, was very polite and the price was very reasonable. A great job! 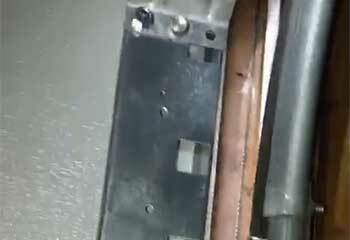 Our automatic garage door opener stopped working and these guys fixed it amazingly fast! They were nice, the price was great, and it's working like a charm. I'm really glad I called them!